Crask Homes & Design LLC. Crask Homes & Design is a locally owned and operated home remodeling firm. We have been in the full service remodeling business since 1980. Rick Jacobson, Your Premier Home Remodeling Expert Offering Complete Design-Build Services With over 30 years’ experience in the business Rick Jacobson understands home remodeling. He’ll listen to your ideas, show you the best way to get the job done, and deliver your new home remodeling project – on time and on budget. Rick will work with your designer or architect, or he’ll provide remodeling design services for you. Blueprints translate your ideas into a construction drawing. This plan defines a construction plan, suggests a budget, and forms a contract. Rick presents all of the necessary project documentation in a way that helps you understand the scope of the project and what’s involved in bringing your ideas to life. Because he’s done his homework, Rick’s budgets are seldom off target. Great homes start with great kitchens and bathrooms. At 612 Design, we specialize in designing and creating fabulous kitchens and bathrooms of all sizes and budgets. Call us today to get started! When you select a Cabinetpak kitchen, you are making a wise choice. Cabinetpak® Style is a lot more than good looks and a practical, durable product. Homecare has a long history of remodeling excellence and affordability in the Twin Cities area. Family-owned and run for over 50 years, Homecare was founded by Stanley Earl in 1960. His son, Stephen (Steve) Earl began working for the company in 1974, and in 1985 Stanley passed the company on to Steve, the current owner. Homecare Inc uses union carpenters that boast decades of experience in their trade and have worked for Homecare for a combined total of over 30 years. Homecare Inc Remodeling is located in Bloomington, MN and serves Minneapolis, Bloomington, and the entire Twin Cities area. Trustworthy, hard working, and known for our high quality remodeling work, Homecare Incorporated is committed to providing each client with an exceptional remodeling or repair experience. Regardless of the type and size of the project, our team will be there every step of the way to ensure a quick and stress-free remodel for you and your family. Steven Cabinets has been engineering and building custom projects for 50 years. Our motto of keeping the "custom" in customer means our staff love to provide individualized attention to your project. Twin Cities Most Experienced General Contractor. Best of Houzz 2018. Our mission is to provide quality remodeling and exceptional customer service utilizing our own dedicated employees as well as a strong network of loyal subcontractors and suppliers. Based in Minneapolis, Minnesota, 612 Design offers interior design services and construction resources for luxury home remodeling and building, including kitchen and bath remodels, whole house renovations and new home construction. From design concept to project completion, we work with homeowners, specialty contractors, general contractors and home builders alike. Led by Eric Carter, our professional services are available on-site within 400 miles of Minneapolis-St. Paul and virtually nationwide via video chat, phone and email. Get your kitchen, bath or home remodeling project or new build started today. Contact 612 Design to schedule a free phone consultation with expert designer and remodeler Eric Carter. Visit our website at 612design.com to schedule your free consultation and estimate! Whether it’s remodeling your kitchen, family room or den; or finishing your basement, you can trust Titus’ experienced builders and craftsmen to work with you and create a home you’ll love. Arbor Haus is a multiple award winning general contractor specializing in design/build remodeling for the residential homeowner. After years working in the remodeling industry with other firms, Arbor Haus was founded on the goal of providing superior service and quality craftsmanship through honesty and integrity in all that we do. Our mission statement: To provide the best quality product, service and experience while updating your home and improving your quality of life. Our category pricing takes away any guess work in the budget and eliminates the concern of hidden charges that customers may have when discussing their budget and needs. Some projects represented were done while under a previous employ, however, all work was designed, developed and produced by employees and affiliates now currently employed by Arbor Haus, LLC. When you choose Quality Cut Remodelers to work on your project, you are working directly with the owners from start to finish. This means that you can trust us to do the project right the first time. 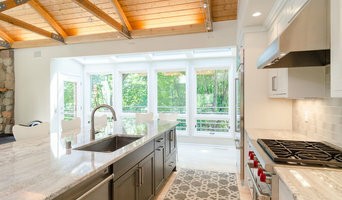 From kitchen and bathroom remodeling to exterior home renovation, the Knight Construction Design Team treats every renovation project as if it was their own home. We are a full service general contracting firm capable of anything from small projects to full home renovations. We work with you, your home, your life style & budget to meet your needs & dreams. Neighborhood Building & Remodeling Co. Since 1983, Neighborhood Building and Remodeling Co. has been built on trust, experience, and vision. We've been helping people realize their remodeling dreams ever since. Your home is where you build and make your family's memories. NBR understands a home's importance, and that's why we give our all to every project. We are very proud of our reputation as a local company that is committed to delivering 100% customer satisfaction. Whether your home remodeling project is big or small, we can help every step of the way. We offer design help and free consultations! Revision LLC is the premier boutique remodeler in the Twin Cities area, providing high-quality renovation services. Our team’s unmatched vision and experience reawakens existing spaces that compliment your home. Our craftsmen bring the dream to reality and our unique process makes it all happen as smoothly as possible. Please note: Photos are posted on Houzz simply to provide inspiration. While we appreciate the comments and questions about specific details that catch your eye, we are unable to respond to all inquiries. Bathroom remodeling can be complex & overwhelming, US Bath Systems is not. We know bathrooms; that’s what we do. From design through installation, you will enjoy the experience every step of the way! "My job is more than designing beautiful spaces. Having the passion and knowledge to transform a client's home that actually improves the way they live in it, is an honor. My clients have a different experience working with my company. I am intent on understanding my client's needs, minimizing their stress and communicating effectively....all while executing great design until the last pillow is fluffed!" On the fast-track to being on of the area's top interior decorators, Bridget established Chirigos Designs in 2009 and has transformed countless homes, including a 5,500 square foot new custom home build from concept to completion. Educated at the Fashion Institute of Technology, Bridget has a bachelor's in business with a secondary focus on Home Furnishings Product Development. "It sounds funny but I actually enjoy taking the stress from my clients, becoming their advocate through each step of the design or renovation process, while balancing the varying differences in homeowner’s style." We are a team of experienced professionals, bringing over 15+ years of experience to each & every job, along with tried & true vendors, we can help you select products & materials perfect for you! Dynamic Woodworking has been designing custom cabinets, countertops, entertainment centers, fireplace surrounds, and other quality wood creations for kitchens, bathrooms, and other rooms in Minnesota homes since 1995. Whether it is a new home construction or a home improvement remodeling project, Dynamic Woodworking can design a custom woodworking solution for your home or business. We offer a wide array of kitchen and bathroom design services to suit every need. We work with Minneapolis home builders, architects, designers, remodelers, contractors, and homeowners to determine individual needs, and then we create custom cabinets, countertops, and a variety of other woodworking and remodeling solutions to suit each individual need. Dynamic Woodworking is located in Oak Grove, Minnesota, just minutes from the Minneapolis and St. Paul metro areas, serving clients throughout Minnesota and western Wisconsin. Please look over our website to see the custom woodworking designs we have created for others and get ideas for how we can enhance your home or business remodeling project or new home construction. mackmiller design+build is an award winning, family owned remodeling and full service interior design firm. Their goal is to exceed expectations and provide a positive remodeling experience. With over 60 years of experience, you can count on Minnesota Rusco Inc. to provide all of your interior and exterior home improvement needs. 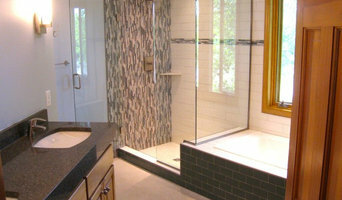 Home remodeling services, with an emphasis on kitchen and bath remodeling. Artisan partners with designers as needed, and offers clients the full scope of work from small bathroom updates or relatively minor projects, to finishing basements, re-working entire kitchen and family room areas, or similar larger projects. With a lifelong hobby of woodworking, Eric brings a unique quality, craftsmanship and creativity to help bring client's dreams to life for their homes. Kitchens and bathrooms are two of the hardest-working spaces in any home. When it’s time to update them, ensure that they stay at peak functionality by hiring an Eden Prairie kitchen and bathroom remodeler. With an eye for aesthetics, a practical approach to layout and design, and the skills of a contractor, a bath or kitchen remodeler in Eden Prairie, MN can help you execute a remodel suited your personal style and needs. What does an Eden Prairie kitchen and bath remodeling expert do? 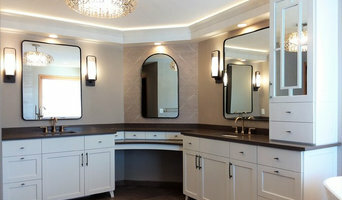 Licensed Minnesota kitchen and bath remodelers are contractors who specialize in altering the structure of an existing space, rather than building one from the ground up. Because he or she must deal with a previous builder’s work, the job can get more complicated than new construction. You might wonder why they often specialize in both kitchens and bathrooms, but if you think about those two spaces, they actually have a lot in common. Kitchens and bathrooms include an abundance of fixtures that require careful planning and installation, including sinks, faucets, tubs and toilets that all need water hookups and drainage. They also use similar materials, such as tile and stone for countertops and flooring, due to the nature of their use. So it makes sense that Eden Prairie kitchen remodelers and bathroom remodelers be one in the same. A bathroom or kitchen remodeler translates architectural plans from page to reality; some are also trained to provide design services so that you don’t have to hire a separate pro. 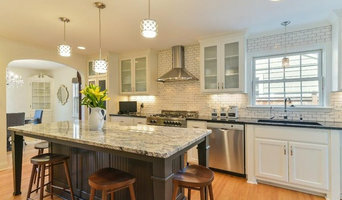 Like a general contractor, a kitchen and bathroom remodeler in Eden Prairie, MN is responsible for hiring and supervising subcontractors and providing materials when necessary. They also should have a thorough knowledge of Minnesota building codes and construction-related legal issues, as well as current design and product trends. Here are some related professionals and vendors to complement the work of kitchen & bath remodelers: Woodworkers & Carpenters, Kitchen & Bath Designers, Interior Designers & Decorators, Architects & Building Designers, General Contractors. 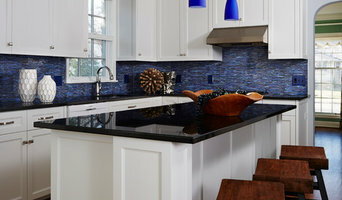 Find an Eden Prairie kitchen and bathroom renovator on Houzz. Narrow your search in the Professionals section of the website to kitchen and bathroom remodelers in Eden Prairie, MN. You may also look through photos of Eden Prairie, MN spaces to find kitchens or bathrooms you like, then contact the bathroom or kitchen remodeler who worked on it.